“Incredibles 2” makes up for what it lacks in plot with nostalgia, engaging action scenes, and fun dialogue. Since Pixar’s release of “The Incredibles” in 2004, Marvel Studios has brought superheroes to the forefront of Hollywood. Over the last decade, Marvel Studios has made over a dozen films, bringing our favorite comic book superheroes to life. Despite the saturated landscape, “Incredibles 2” uses its innocence and simplicity to give audiences a different kind of superhero movie. The story picks up where the first movie left off and provides a quick recap of where we last saw the Parr family. In the last film, superheroes were forced into hiding after being declared illegal. One would guess that after the public events in the “The Incredibles,” superheroes would regain their legal status. However, it seems that heroes still pose more threats to society than advantages, although throughout this movie and its predecessor, traditional law enforcement don’t seem to be effective. Noticing this problem, business tycoons Winston Deavor (Bob Odenkirk) and his sister Evelyn Deavor (Catherine Keener) recruit Mr. Incredible (Craig T. Nelson), Elastigirl (Holly Hunter), and Frozone (Samuel L. Jackson) to help convince world leaders that legalizing superheroes would benefit society. “Incredibles 2” shifts the narrative’s focus to Elastigirl’s superhero abilities and Mr. Incredible’s life as a homemaker. Meanwhile, Bob Parr struggles with life at home, dealing with his son’s homework troubles, his daughter’s boyfriend troubles, and his baby’s developing myriad of superpowers. While the role reversal sets this movie apart from the original and allows viewers to see Elastigirl in action, all the events in the movie, starting with the first crime that Elastigirl stops, seem way too convenient. Problems arise right when the protagonists need them. What makes this even more suspicious is that there are only a few people who are aware of where and when Elastigirl is out fighting crime, which narrows down the potential villains significantly. Compared to “The Incredibles,” the plot of this movie is incredibly obvious, with no surprising plot twists or true danger. “Incredibles 2” also features a lot more of Jack-Jack, who is brought along on the family’s adventures this time. Although it’s amusing to watch him use his powers, it prevents the rest of the family from working together since someone always has to babysit him. Although there are a few fight scenes that feature the whole family, each member mostly use their powers independently instead of building off of one another, as they did in the first movie. Jack-Jack’s powers, like the rest of the movie, are all too convenient. Although there is an explanation for why he has so many powers, he ends up serving more as a scapegoat for the writers when they don’t want to come up with a clever way out of a tight spot. Watching Jack-Jack use his powers feeds on the nostalgia of viewers who waited 14 years to find out what powers he’d have and how his family would react to them, but it also detracts from the story. It’s also worth noting that in the final scenes, Jack-Jack figures out how to defeat the villains much faster than the rest of the family. If a baby is the smartest character, then there’s definitely room for improvement. 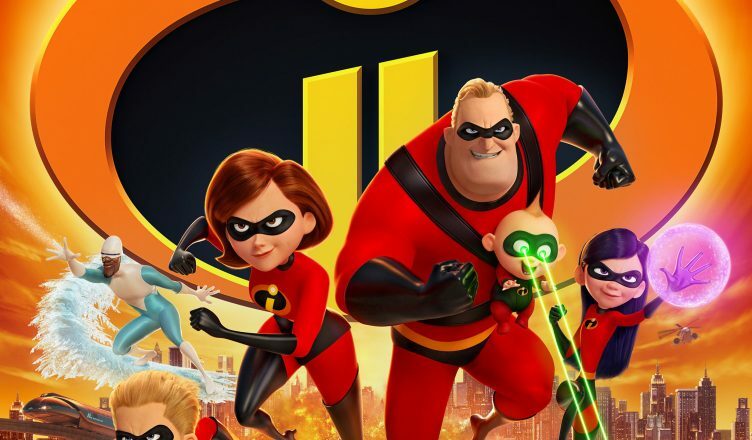 Directed by Brad Bird, and featuring most of the original cast, except for the voice of Dash (Huck Milner), “Incredibles 2” also provides a great deal of social commentary about laws, justice, and equality. From Elastigirl’s moral dilemma about having to break the law in order to fix it, to Winston’s goal of “making superheroes legal again,” audiences will notice numerous parallels to our society today. Commendably, the film does a good job of presenting multiple sides of the arguments. For example, Elastigirl believes that the law banning superheroes from using their powers should be changed with due process, while Mr. Incredible and the Deavors’ believe that breaking the law to show why it’s wrong is a better form of protest. Keeping in mind that this film is made primarily for children, “Incredibles 2” is still a great movie for all ages. But where the first film was unique and groundbreaking, featuring a stronger plot that held surprising twists for both adults and children, “Incredibles 2” holds up more on nostalgia, entertaining action sequences rather than an innovative and clever story.